The 612 Nitrotech Fluid Video Head and 536 Carbon Fiber Single Leg Tripod from Manfrotto provide content creators with a versatile solution for various applications. 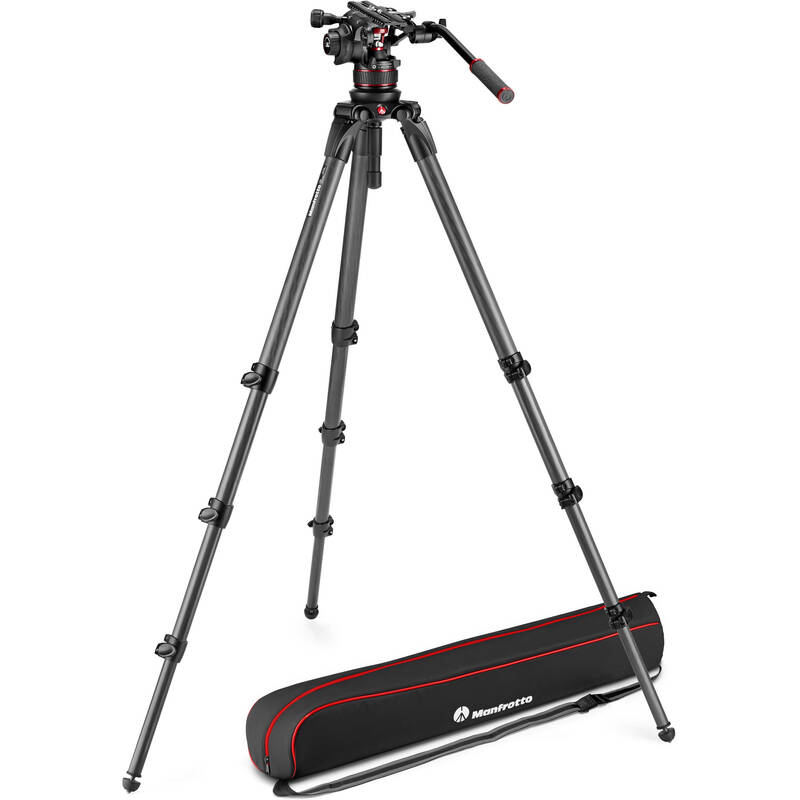 A lightweight head is paired with a sturdy four-section tripod for a maximum height of 86" and minimum height of only 16". The head supports up to 26.4 lb and features a Nitrogen gas piston mechanism that allows for continuous counterbalance across the full payload range. It's also designed with improved fluid technology that allows smooth and judder-free pan and tilt movements. Other key features of the head include a side lock camera plate system and two rosette adapters each with a 3/8"-16 accessory port and Manfrotto and ARRI anti-rotation slots. A half ball is included to convert the flat base head to fit the tripod, which has a 100mm bowl and 75mm bowl adapter. With a native flat base, the 612 Nitrotech can also be easily mounted on sliders, jibs, and other gear. The tripod's single legs can independently be set at 23, 50, and 70° angles. A padded carrying bag is included for the tripod. The Manfrotto 536 Carbon Fiber Video Tripod has four sections and a 75/100mm bowl adapter ring for industry standard fluid heads. With carbon fiber tubes and magnesium die castings, the 536 boasts great stability, high load capability, and a light weight. Box Dimensions (LxWxH) 31.0 x 8.8 x 8.0"